The Saratoga Jewish Community Arts, in collaboration with Temple Sinai and Skidmore Office for Jewish Student Life, with grants from The Jewish Federation of NENY and the Golub Corporation, presents the film “Disturbing the Peace” October 7, at Skidmore College (Davis Auditorium in Palamountain Hall) at 7pm. 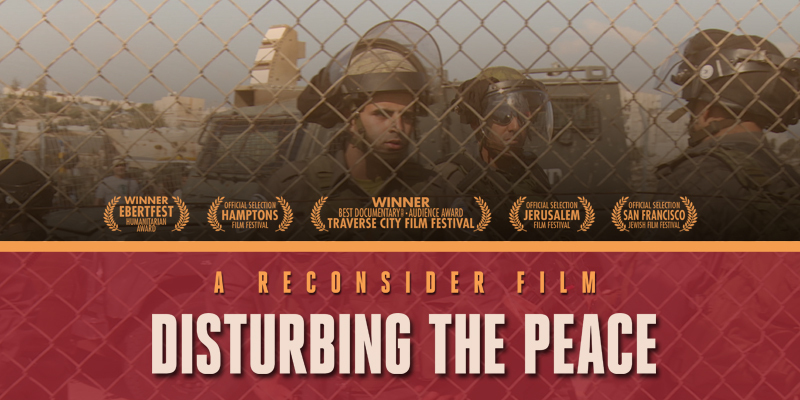 Disturbing the Peace sheds light on the organization Combatants for Peace, a band of former military or paramilitary personnel from among Israelis and Palestinians who have renounced violence and set out to vigorously champion a two-state solution to end the years of hatred and violence. Dessert reception and panel discussion follows the movie. Suggested donation is $5 per person. RSVP via email office@saratogasinai.com, or call 518-584-8730 opt. 2.